Previously, our good friend and colleague Paul Schwind provided updates on the details of the federal litigation challenging the $5+ billion Honolulu rail project, Honolulutraffic.com v. Federal Transit Admin., No. 11-00307 AWT (D. Haw. filed May 11, 2011). Last month, the U.S. District Court ruled on cross-motions for summary judgment, and rejected most of the plaintiffs' challenges to the project under three federal statutes (the Transportation Act, the National Environmental Policy Act, and the National Historic Preservation Act), and granted the defendants summary judgment on what appear to have been the most significant claims in the case. However, the court agreed with several of the plaintiffs' arguments under section 4(f) of the Transportation Act, and granted them summary judgment on three claims. The court scheduled a hearing for December 12, 2012 to argue about what remedy the court should adopt for these three claims. Paul attended the hearing, and once again has provided us an update on the latest developments in the case. The briefs for this hearing are posted below. Litigation is nearing the "end game" regarding the adequacy of the final environmental impact statement (FEIS) and record of decision (ROD) for Honolulu’s rail rapid transit project. As last reported here, supporters of rail got a further boost when, on November 2, 2012, Ninth Circuit Judge A. Wallace Tashima (assigned to hear the case because the entire bench of the U.S. District Court for the District of Hawaii recused itself) rejected most of the plaintiffs’ challenges to the project under three federal statutes (the Department of Transportation Act of 1966 (DOT Act), the Natonal Environmental Policy Act (NEPA), and the National Historic Preservation Act (NHPA)), and granted the defendants summary judgment on most of the significant claims in the case. However, opponents of rail could take some comfort in the fact that Judge Tashima granted the plaintiffs summary judgment on three issues governed by section 4(f) of the DOT Act. The defendants failed to (1) complete a full study of above-ground "traditional cultural properties" (TCP) in the Chinatown area; (2) analyze noise impacts on Mother Waldron Park and mitigate other negative impacts on the park’s historic and artistic features; and (3) include a full analysis in the FEIS to support the conclusion that a tunnel under Beretania Street was not a feasible and prudent alternative to the elevated route selected. However, Judge Tashima went to particular pains to point out that "[e]ven assuming the issuance of an injunction is appropriate, it must be carefully tailored to provide a balanced remedy." See Order on Cross-Motions for Summary Judgment, slip op. at 44-45 (emphasis added), and the graphic above. On December 12, 2012, Judge Tashima heard argument from both sides on what remedies the plaintiffs are entitled to. He opened the conversation by stating that the remedies will be impacted by (1) the state of the project; (2) the state court injunction (see below); and (3) any ongoing activities. He assumed that the parties will have an "open mind" on the matters to be redetermined. Nicholas Yost (SNR Denton US LLP, San Francisco, California, appearing pro hac vice) began for the plaintiffs by stating that they have tried to tailor a remedy to the diverse interests in this case. 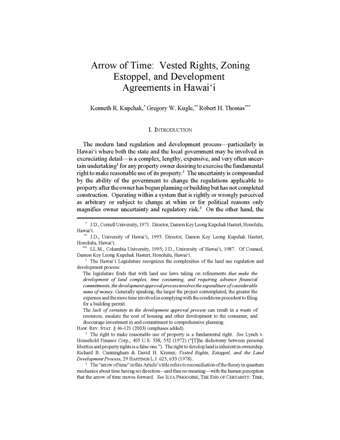 They agreed with the defendants that construction should be enjoined in the Phase 4 area, but that planning activities necessary for compliance with state law may continue. They disagreed whether to allow construction to continue in the Phase 1, 2 and 3 areas, which could let the defendants act so as to narrow the available alternatives. Mr. Yost argued that the ROD did not build a record showing consideration of the cost of the Beretania Street tunnel alternative. The present 20-mile locally preferred alternative guideway route was selected as an alternative to the original 34-mile project partly based on cost. So if it now becomes necessary to select the tunnel route as a more costly, but feasible and prudent, alternative to avoid Mother Waldron Park and any TCP’s in Chinatown, the rest of the project can be trimmed back even more. The pending federal Full Funding Grant Agreement (FFGA) is not limited to expenditures on Phases 1 through 3 of the project, but the City can use its own funding sources to proceed with allowable activities [if the FFGA is withdrawn as a result of this litigation]. Although the FFGA notice mentions the pendency of other present litigation affecting this case, it fails to tell Congress about the court’s order granting summary judgment to plaintiffs in their 4(f) claims in this case. The only Supreme Court case interpreting section 4(f) contains a clear and specific bar to the use of federal funds in violation of 4(f): Citizens to Preserve Overton Park v. Volpe, 401 U.S. 402, 411, 419 (1971) (also condemning the use of post hoc litigation affidavits). Accordingly, the portions of the ROD affected by that order should be vacated (set aside). Robert D. Thornton (Nossaman LLP, Irvine, California, appearing pro hac vice) for the the City and County of Honolulu (City) presented the City defendants’ arguments. Mr. Thornton began by reminding everyone of the court’s earlier order on the cross-motions: the defendants’ motions were largely granted, specifically with respect to all of plaintiffs’ NEPA and NHPA claims. Accordingly, the City’s Proposed Order Regarding Remedies is specifically tailored to the three matters in the court’s summary judgment order. In particular, Phases 1, 2 and 3 are not affected. Mr. Thornton continued that the FFGA has been six years in the making, and its $1.55 billion does matter to the entire project (not just Phase 4 construction). It is critical that the City be able to continue final design, but it cannot fund that work if the ROD is vacated and the FFGA is withdrawn as a result. Neither 23 CFR 771.130(f) [re the FEIS] nor 23 CFR 774.9(d) [re section 4(f)] require suspension of project activities not affected by a supplemental EIS. Vacatur (set aside) of the FEIS and ROD would enormously increase the cost of the project and put thousands out of work. As ordered by the Hawaii state court, defendants have now completed all archaeological activities in Phases 1, 2 and 3, and the State Historic Preservation Office (SHPO) has reviewed and concurred on July 3, 2012. Only two TCP sites were identified in those areas as eligible for the National Register, and pursuant to section 4(f) regulations (23 CFR 774.15(f)(1)), there will be no impact on either of those sites. Plaintiffs now raise, for the first time, a "late hit" – unsubstantiated claims of burials in the karst topography of the Ewa plain. But as previously found by the SHPO and the state Land Use Commission (LUC) in other cases, there is "no indication of karst caverns" and "no karst cave systems." Mr. Thornton reiterated that in an equitable proceeding such as this, the court must consider the enormous disservice to the public interest if the FEIS or the ROD is vacated, thus killing the rail project which the electorate on Oahu has now supported no less than three times [most recently in the 2012 mayoral election, in which plaintiff Ben Cayetano was soundly defeated]. 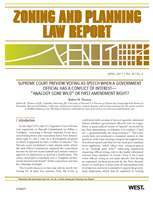 See Monsanto Co. v. Geertson Seed Farms, 130 S.Ct. 2743, 2766 (2010) (the public interest must be weighed with other factors and reconciled against the court's own limitations and particular familiarity with the case). Like an injunction, vacatur is an equitable remedy. See Idaho Farm Bureau Fed’n v. Babbitt, 58 F.3d 1392, 1405 (9th Cir. 1995) (when equity demands, an improperly promulgated regulation may be left in place while the agency follows the necessary procedures). When Judge Tashima asked whether the City had completed all real estate acquisitions in the Phase 4 area, Mr. Thornton replied that there is no harm caused by land acquisitions per se, so that the City is not required to break the momentum of the project by barring this activity. William Meheula (Meheula & Devens, LLP) argued for the intervenors against the plaintiffs. Vacatur is subject to judicial discretion in an equitable proceeding. A balance of hardships between the parties requires consideration of the disruptive consequences of an interim vacatur. Only one declarant for plaintiffs (Michelle Matson) alleged harm from the impact on Mother Waldron Park, but it is unclear whether she actually goes to the park. Walter Heen’s declaration identifies no TCP’s that are threatened by the project or that he has used in the past. Plaintiffs allege that they "enjoy" Chinatown and the Dillingham Building, but do not contest that the mitigation measures proposed by the defendants were improper. As a matter of transportation equity, a large population of low income and minority groups on Oahu is harmed by traffic delays and curtailment of normal activities, impacts that are addressed by the project but not by the alternatives. The Carpenters Union (one of Mr. Meheula’s clients), 47 percent of whose members are without work, would benefit from the 10,000 jobs provided by the project each year. Among the benefits of the rail project for the public are an 18 percent reduction in vehicle hours of delay islandwide, and a 38 percent reduction in delay to and from work in the guideway corridor. Plaintiffs assumed irreparable harm from the project, but that is far outweighed by the real harm to the intervenor defendants if the project is never built. Mr. Thornton countered for the defendants that the TCP process for Phases 1 through 3 was open, with regular meetings of the consulting parties. Plaintiffs had ample opportunity to review the studies which reduced the number of TCP’s, and any suggestion to the contrary is simply not true, not correct, not accurate. Judge Tashima then announced that he would take the matter under submission, but would issue a final (appealable) order, which may provide for continuing oversight jurisdiction, "in short order." Think of the proceeding on December 12 as analogous to a pre-sentencing hearing in a criminal case. The defendants have been found "guilty," and now the court must dole out the appropriate "punishment." Here, like a tough prosecutor, the plaintiffs argued for "throwing the book" at the defendants, asking that the Judge set aside portions of the ROD and limit reliance on it until it can be corrected. This would result in withdrawal of the notice issued on November 19 that the FFGA for $1.55 billion may take effect 30 days thereafter, i.e., by December 19. Withdrawal of the notice would effectively kill the project by eliminating the certainty of federal funding. The defendants, appropriately chastened, pleaded for "leniency," asking that the Judge allow them to continue all work on the project other than halting construction on Phase 4 in the downtown area and its immediate environs. Of course, as reported here, the defendants are already barred from further work by Kaleikini v. Yoshioka, 283 P.3d 60 (Haw. 2012), in which the Hawaii Supreme Court held that the impacts of the rail project on archaeological sites must be evaluated for the whole project before construction on any part of it can continue. Killing the Honolulu rail rapid transit project has been the plaintiffs’ objective all along, any protestations to the contrary notwithstanding. So eliminating the certainty of federal funding is, of course, a most effective means of doing that, protestations to the contrary again notwithstanding. If the court is outwardly responsible for such an outcome, there is that much less blood on the plaintiffs’ hands. The Beretania Street tunnel alternative does not go to Ala Moana Center (see graphic, above). That fact means that the tunnel route does not meet the project objectives. As was argued by the federal defendants on August 21, the City (as project sponsor) is allowed to develop the "purpose and need" statement and screen out alternatives that do not meet the purpose and need of the project. That is a major reason why, besides higher cost, the tunnel alternative was not considered further in detail. The impacts of setting aside the FEIS and ROD for the rail project (forcing the withdrawal of the FFGA, enormously increasing the cost of the project through delay, and putting thousands out of work) are "fair game" in a proceeding in equity (in which injunctive or declaratory relief is sought, as in this case). Vacatur, like an injunction, is an equitable remedy, and the harmful outcomes for either side resulting from the decision must be balanced in a fair manner. Judge Tashima indeed has his work cut out for him in a hurry, if the FTA means to execute the FFGA as early as December 19. Here are the briefs and other pleadings for the remedy issue.